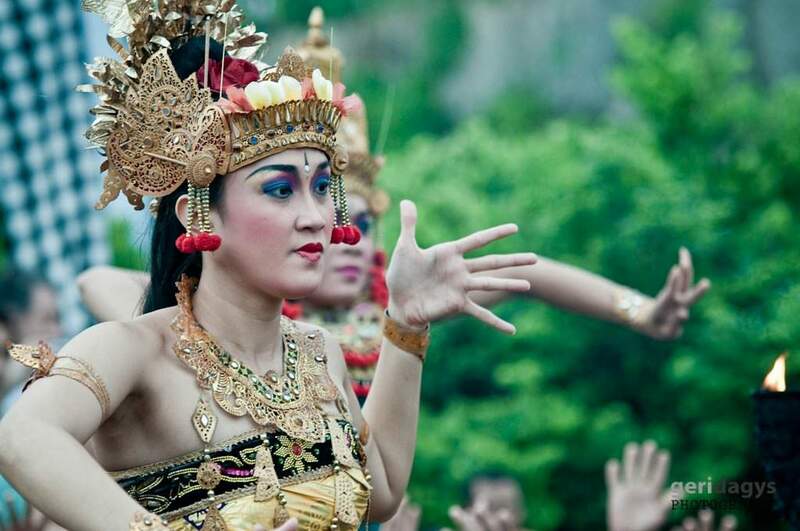 People say that every visitor to Bali should see at least one traditional dance. 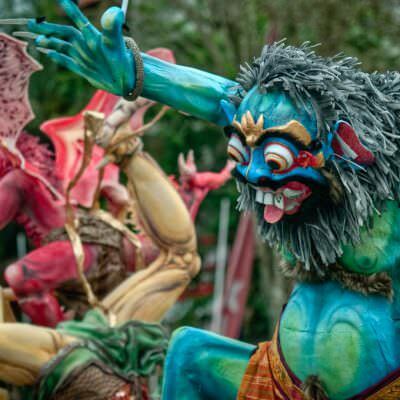 This time I choose to see Kecak Ramayana and Fire Dance in Uluwatu. 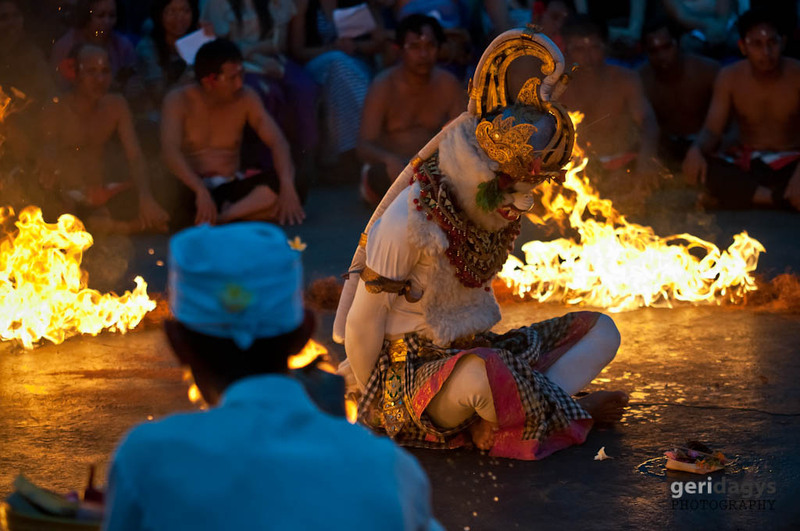 The combination of ancient ritual, dance, drama, sunset and stage on the cliff makes Kecak and Fire Dance one of the most spectacular dance performances. The story tells about the hero Rama, an incarnation of the god Visnu, who came to the earth to defeat the evil demon Ravana. Ravana the demon has fallen in love with Ramas beautiful wife Sita and makes a plan to capture her. Rama with the help of his brother Laksmana, the magic bird Garuda – the vehicle of Vishnu, Anoman – the white monkey and general of the monkey armies and another ancient Hindu epic heroes burns down the eintire palace of Ravana and so returnes his wife Sita. 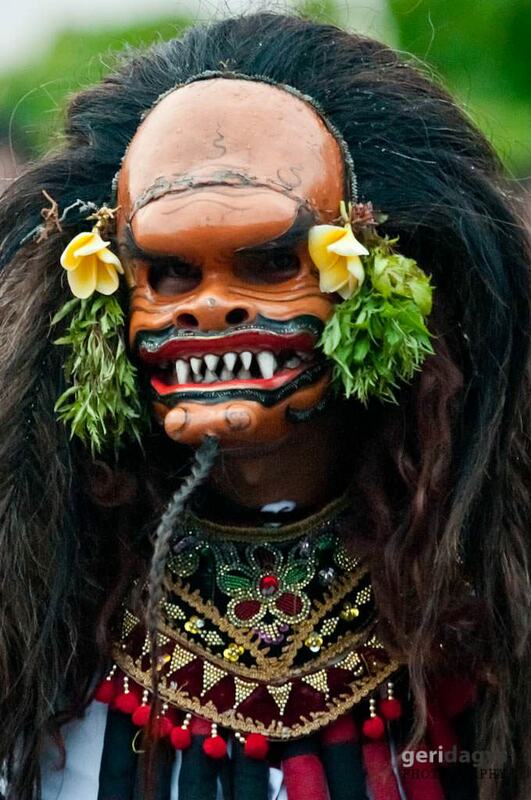 Kecak is unique Balinese dance because, unlike all other Balinese performances, it is not accompanied by any musical instruments. Instead a chorus of about seventy men imitate the sounds of musical instruments, tell the story and provide sound effects. 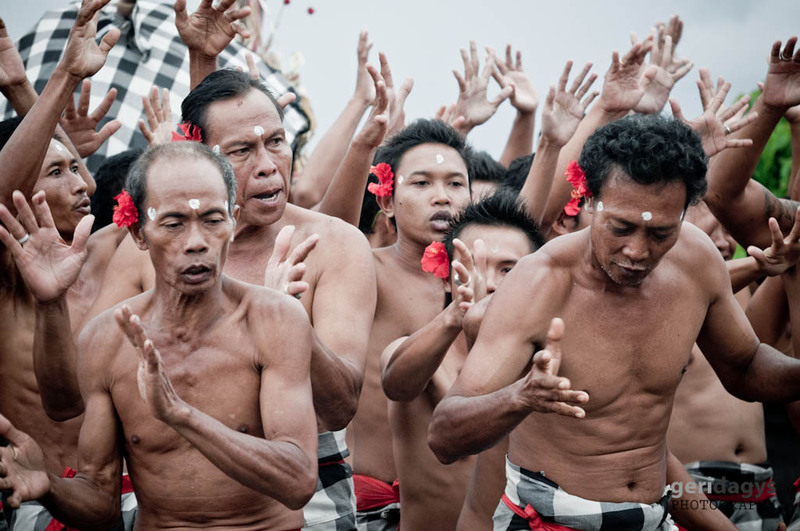 The name Kecak comes from the chattering cak-cak sounds of the chorus. 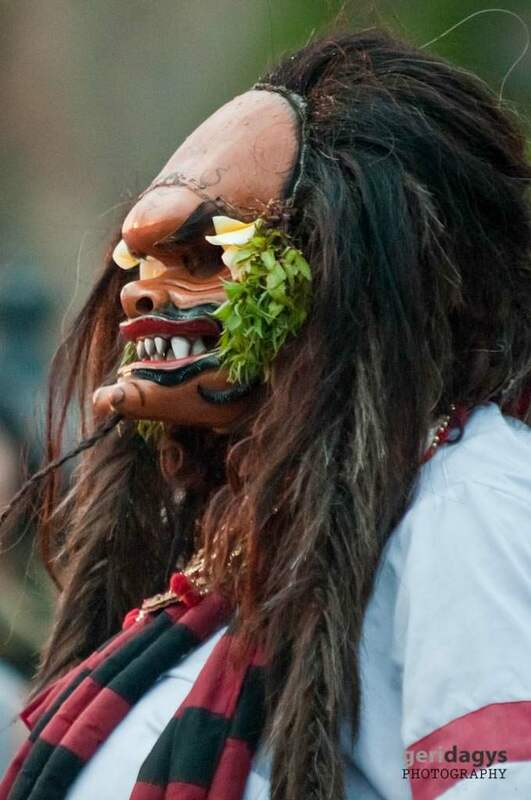 This performance is an adaptation of an ancient ritual ceremony, which was always accompanied by a chorus of men chanting in much the same way as in Kecak. The chorus is very much more than just a musical accompaniment to the action. It is part of the action itself. 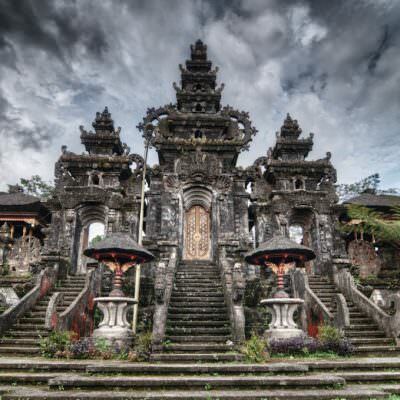 It is the trees in the forest, the helpers of Ravana, the magic circle that protects Sita, the allies of Garuda, the monkey army, the ring of fire. Kecak and Fire dance performance at Uluwatu Temple, Bali. Rama, an incarnation of the god Visnu. Kecak and Fire dance performance at Uluwatu Temple, Bali. 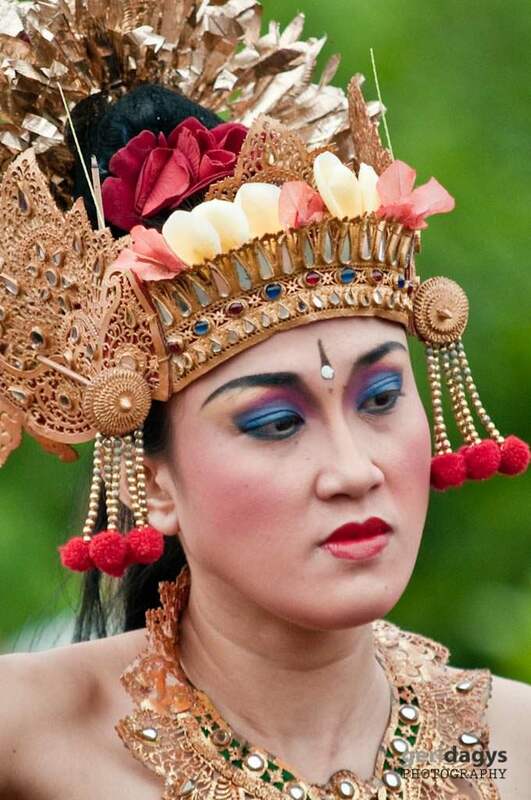 Sita, beautiful wife of Rama from Kecak and Fire dance performance at Uluwatu Temple, Bali. 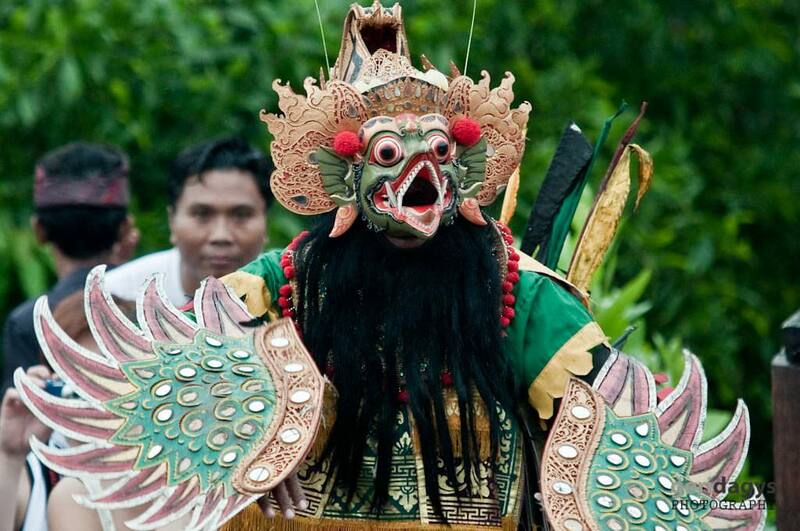 Garuda – the vehicle of Vishnu from Kecak and Fire dance performance at Uluwatu Temple, Bali. 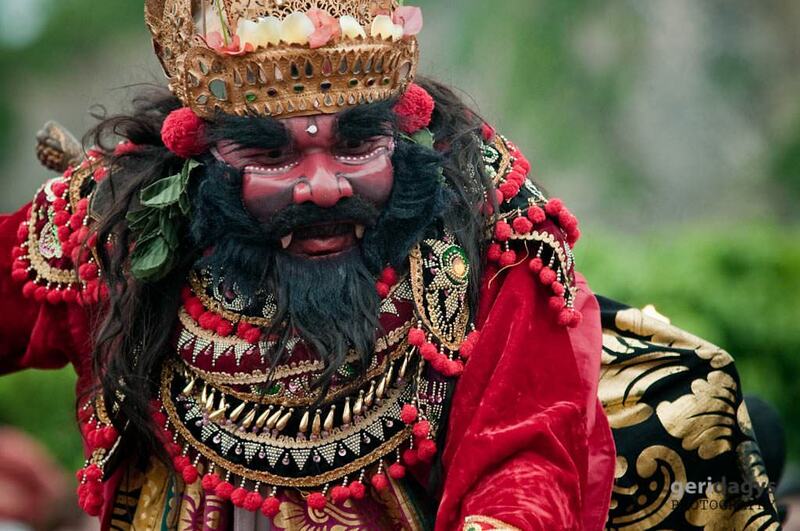 Ravana Demon from Kecak and Fire dance performance at Uluwatu Temple, Bali. Golden deer from Kecak and Fire dance performance at Uluwatu Temple, Bali. 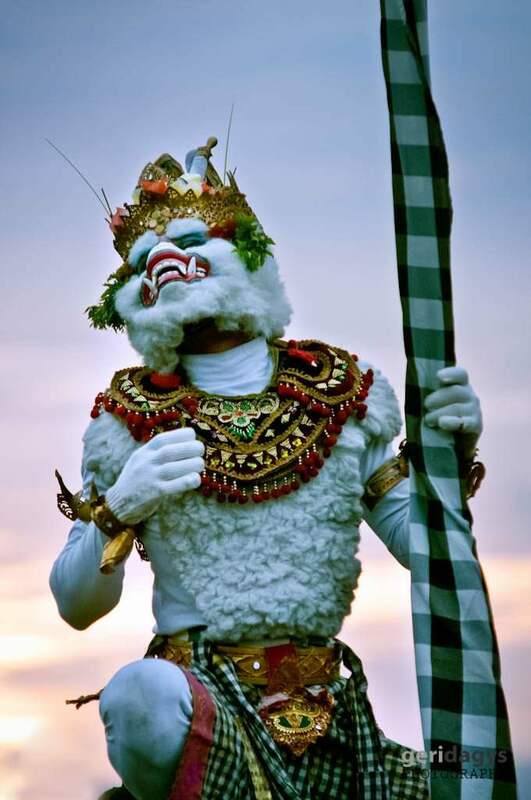 Anoman White monkey from Kecak and Fire dance performance at Uluwatu Temple, Bali. 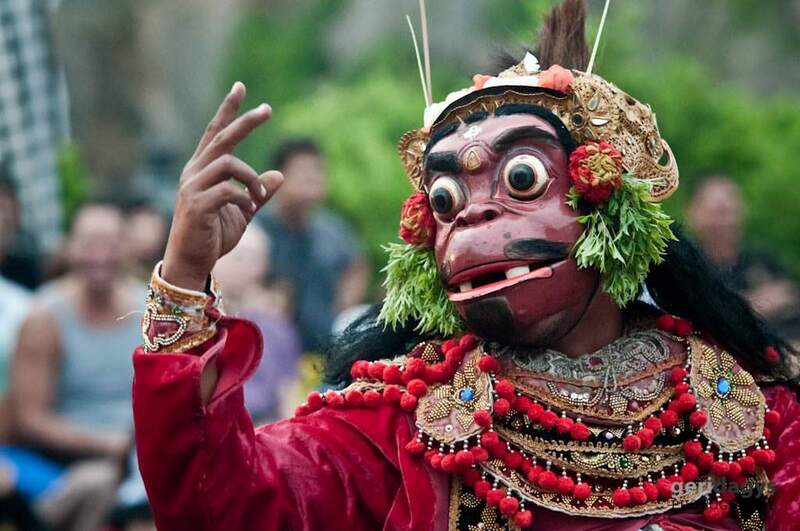 Monkey from Kecak and Fire dance performance at Uluwatu Temple, Bali.